June was a busy and exciting month for the Telegärtner UK team on the exhibition front as we participated in three different interesting events – IFSEC International at London Excel Arena and Motiv8 Forums certificated learning days in Oxford and Cambridge. IFSEC International, Europe’s largest security exhibition, is an event welcoming over 33,000 global security professionals to ExCeL London each year to hear the latest technological innovations and news within the security industry. It caters to everyone within the security buying chain from manufacturers, distributors, installers, integrators and consultants to end users, giving the participants the opportunity to discover the latest products on the market. It was a successful and interesting event providing Telegärtner UK team an excellent opportunity to discuss the latest product requirements and industry developments with the event participants. The specific product highlights presented during the IFSEC show from Telegärtner range included the Field assembly MFP8 RJ45 plug series and TOC IP68 connector series, both ideal for CCTV applications. Additionally, in a true one-stop-shop solution approach we also showcased our cable assembly capabilities as well as relevant products from our cooperation partners’, binder, Hummel, Provertha, FCT, pei tel and Procar ranges. As the event is an international one, we had the privilege of discussing product requirements both with UK customers as well as with visitors from numerous different countries, which provided us an important insight into current requirements in and outside of UK. We are looking forward to continuing all these discussions with the visitors to our stand and working together with them in the future! 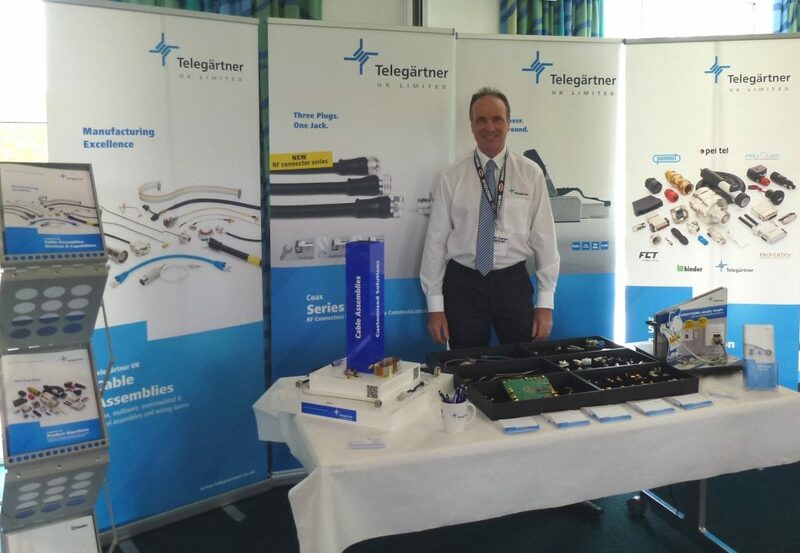 Telegärtner UK also exhibited at Motiv8 Forums certificated learning days in Oxford and Cambridge, which are events dedicated to the very latest in RF & Wireless Design, inc IoT / M2M, Wearable Tech, LiFi technologies. The certificated learning days’ focus on high growth technologies and markets and offer technical presentations and workshops, supported by a networking and desktop presentations area, with key industry speakers and engineers from leading international manufacturers. The Oxford event was held at the Williams F1 HQ and the Cambridge event in Moller Centre. These two events provided Telegärtner UK team a great opportunity to speak to the main technical people in the industry and find out more about the latest requirements, developments, and challenges customers are currently facing. 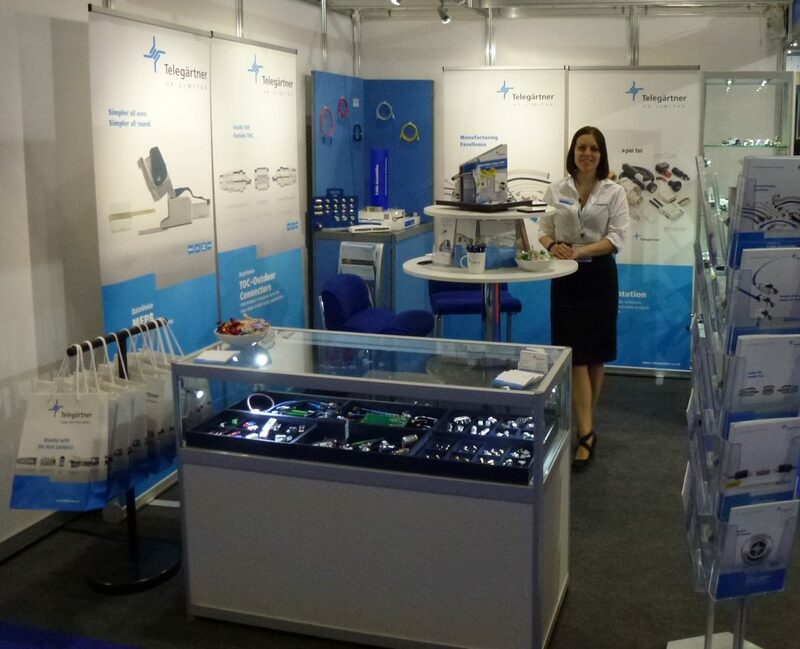 The events gave us a good platform to present our capabilities across our product ranges and to promote the Telegärtner brand name further. Interesting discussions were held with the event participants and we are looking forward to continuing those discussions further in the future to offer our support in finding the right solutions for various product requirements.